what will work in the world of online marketing can seem like a daunting task, but it doesn't need to be that way. There is a myriad of PPC tools that can help any company, big or small, gain a leg up on their competitors, and jump, head first, into the world of PPC advertising. We've collected a few of our favorite pay per click advertising tools that can help you get started on your journey into online advertising right away. 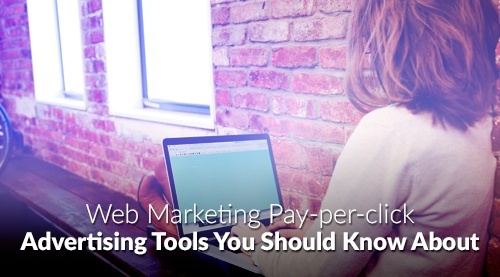 So read this blog to learn about web marketing pay-per-click advertising tools you should know about. CallRail is a great tool for companies that deal with a lot of phone-based sales. Pay-per-click analytics are great for online sales, but they leave phone-based sales out in the cold. This can leave a huge gap in data collection for companies that have both phone-based and online-based sales. CallRail tracks phone calls generated through ad campaigns and keywords. It effectively bridges the communication gap, and allows analysts to see the full picture of an ad campaign that utilizes both phone-based and online sales. Realistically, you will want a leg up on the competition when it comes to online marketing. One way to get that leg up is to understand what your competitors are doing with their PPC campaigns. Keyword Spy allows you to take a look at the strategies being used by companies in the same arena as you. Not only can you see what keywords are being used, but you can see what keywords are being used effectively, and the ad copy that they are a part of. Keyword Spy is also a great way to analyze the value of the keywords you are considering for your ad campaign. The software really has two purposes because of this; first you can utilize it to better understand your competition's strategy, then you can use it to figure out the efficiency and effectiveness of your own campaigns. Bizible is a software client that allows users to combine their PPC initiatives and sales activities into one easy to use system. With this software, AdWords and Google Analytics is combined with SalesForce data for easy access to all advertising and marketing information. Connecting your lead generation team with your PPC team creates a more cohesive project. This can save time and money. It raises the efficiency of your ad campaigns. 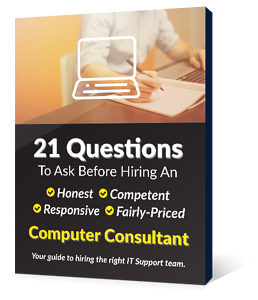 It is, essentially, a program that allows the right hand to see what the left hand is doing, and it is all cloud-based, making it easy for everyone in your company to access. ScreamingFrog made a name for itself in SEO management, but SEO isn't the only online marketing trick up its sleeve. ScreamingFrog can be used to map keywords and inbound clicks. By mapping this information you, the analyst, can see how many clicks were generated by each link and keyword. It is a great tool for sussing out which keywords are working and which keywords are failing to generate leads. This tool can be utilized during ramp up campaigns to quickly figure out effective keywords. They have both a free version and a paid version are available for your web marketing needs.